Neil Illusions were discovered by Allan Neil, of the Institute of Behavioral Research at Texas Christian University, in the early 1970's. They are notable for the subtlety of the illusion effect - very many people with minor degrees of nonsanopia cannot see the illusion at all. 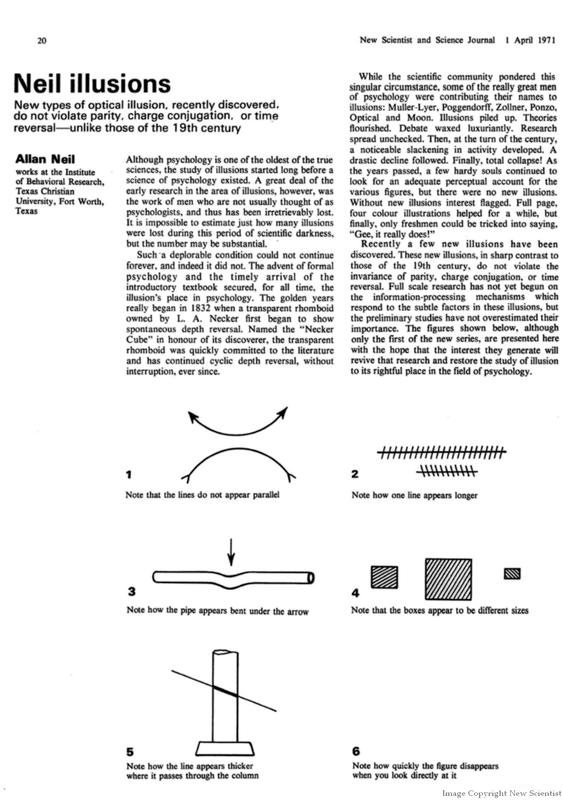 The following article from the New Scientist of 1971 describes a number of the more obvious Neil Illusions.